Dominique Coulon won a competition launched by the municipality of Strasbourg in 2009 for the self-production of a mixed use sustainable building. Today the tower block in the Krutenau area is his home and the office of Dominique Coulon Architects. 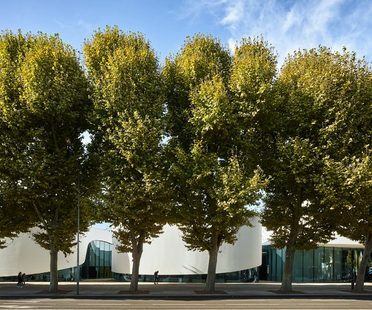 After two years of work, Théodore Gouvy theatre, a new performing arts centre designed by Dominique Coulon & associés, opened in Freyming-Merlebach, in the Grand Est region. 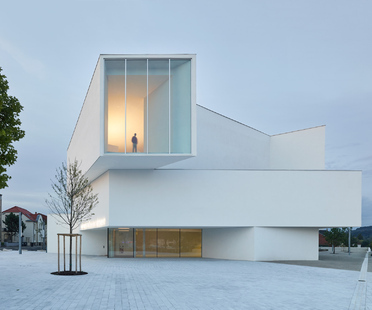 Théodore Gouvy theatre stands in a strategic location in the French town. The name of the sports centre recently designed and built by Dominique Coulon & associés is a direct reference to Strasbourg’s role as home to the European Parliament and the European Court of Human Rights. 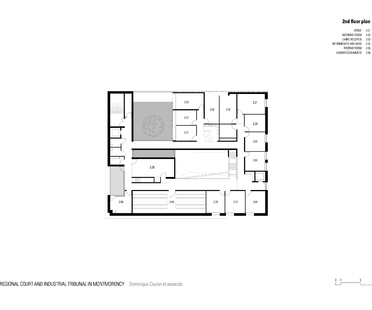 An ambitious programme for the new mediatheque in Thionville by Dominique Coulon & associés. A multimedia library with artists’ studios, audiovisual rooms, an auditorium and much more: this is why Dominique Coulon calls the Thionville mediatheque a “third place”. 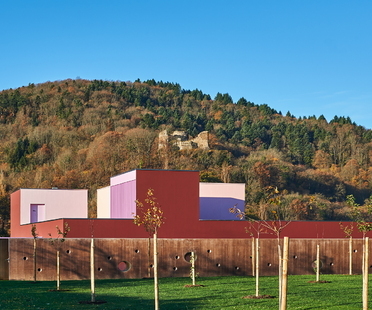 Dominique Coulon, an architect renowned for his experience designing school buildings, has built a nursery school in Buhl, Alsace. 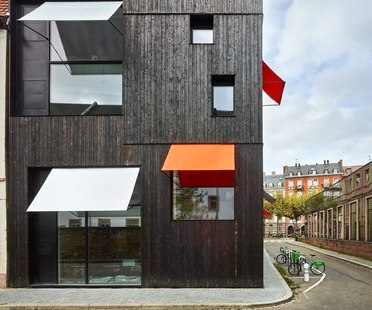 The Buhl nursery school reflects elements common to many of Dominique Coulon’s previous projects, such as use of colour, references to local history, and the importance of perspective. Dominique Coulon has expanded and renovated the municipal swimming pool in Bagneux, on the outskirts of Paris, creating a building that interacts with the neighbourhood. Dominique Coulon has placed a new concrete volume containing a hall and a solarium terrace before the existing pool building. Dominique Coulon designed the new Regional Court and Industrial Tribunal of Montmorency in France: a building that fits perfectly into the urban fabric of Montmorency, north of Paris, while providing the town with a new landmark. Only two years after he graduated in 1989, Dominique Coulon won the special prize in the international competition for the Japanese Culture House in Paris, and the next year was selected to travel in Europe, the United States and South America under the “Villa Medicis hors les murs” programme.